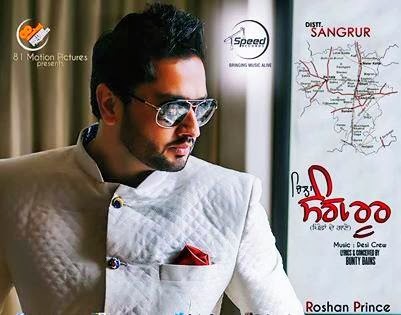 Roshan Price' new Music Album 'Distt Sangrur' (ਜਿਲ੍ਹਾ ਸੰਗਰੂਰ) is coming Soon. Music in the Album is done by Desi Crew and It is conceived by Bunty Bains. Also the lyrics are penned by Bunty Bains. Roshan Price' new Music Album 'Distt Sangrur' (ਜਿਲ੍ਹਾ ਸੰਗਰੂਰ) is coming Soon. Music in the Album is done by Desi Crew and It is conceived by Bunty Bains. Also the lyrics are penned by Bunty Bains. Album will be out under Number 1 Music Label Speed Records and Banner 81 Motion Pictures.